Dramatist and poet Count Vittorio Alfieri was born on this day in 1749 in Asti in Piedmont. Alfieri was educated at the Military Academy of Turin but disliked military life and obtained leave to travel throughout Europe. In France he was profoundly influenced by studying the writing of Voltaire, Rousseau and Montesquieu and in England he embarked on a doomed affair with an unsuitable woman. 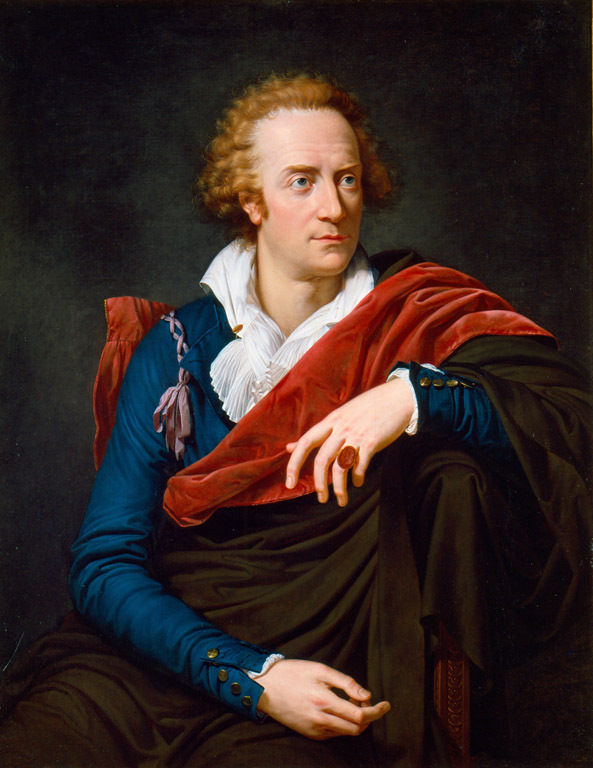 When he returned to Italy in 1772 he settled in Turin and resigned his military commission. Soon afterwards, he wrote a tragedy, Cleopatra, which was performed to great acclaim in 1775. He decided to devote himself to literature and began a methodical study of the classics and of Italian poetry. Since he expressed himself mainly in French, which was the language of the ruling classes in Turin, he went to Tuscany to familiarise himself with pure Italian. Over the next few years he wrote 14 tragedies and numerous poems. He wrote five odes on American independence, an ode on the fall of the Bastille in Paris in 1789 and a political treatise on tyranny. 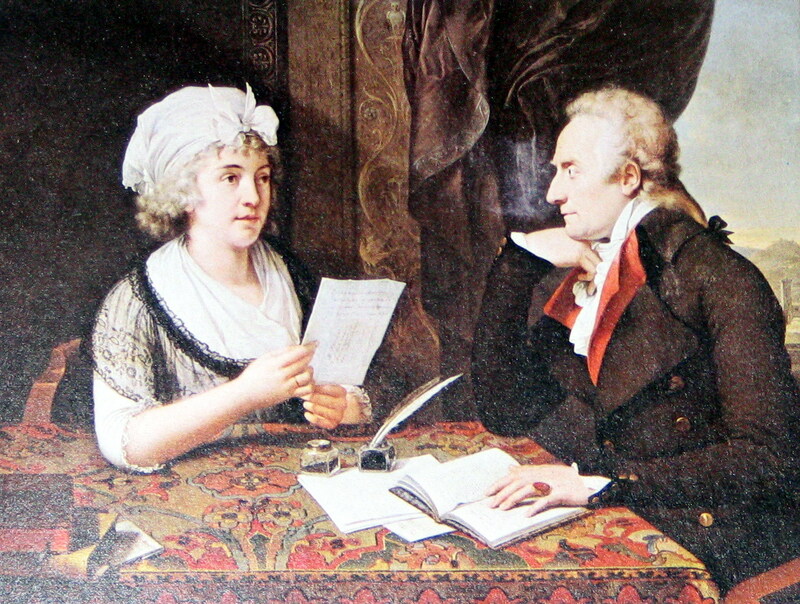 While in Florence, Alfieri met Princess Louise of Stolberg Gedern, also known as the Countess of Albany, who was the wife of the Stuart pretender to the English throne. Although she was living with her husband, Charles Edward Stuart, otherwise known as Bonnie Prince Charlie, Alfieri formed a serious relationship with her. When she moved to Rome to get away from her husband, Alfieri followed her there. She then moved to France and he went to join her there. They lived together in both Alsace and Paris, but eventually left France because of the revolution and returned to live in Florence. Alfieri remained deeply attached to her for the rest of his life. He chose to use a dramatic style in his writing to persuade the oppressed to accept his political ideas and to inspire them to heroic deeds. Most of his tragedies represented the struggle between a champion of liberty and a tyrant. One of the best of his published tragedies is Filippo, in which Philip II of Spain is presented as a tyrant. Saul, which is considered to be his masterpiece, has been singled out as the most powerful drama ever presented in the Italian theatre. Alfieri died in Florence in 1803. 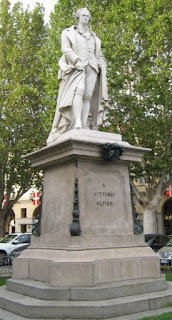 His autobiography, Vita di Vittorio Alfieri scritta da esso, The life of Vittorio Alfieri written by himself, was published posthumously in 1804. Alfieri and the Countess of Albany were both buried in the Basilica of Santa Croce in Florence. Asti, where Alfieri was born, is a city in the Piedmont region of northern Italy, situated about 55 kilometres to the east of Turin. It is famous for its high-quality wines, Moscato d’Asti, a sparking white wine and Barbera, a prestigious red. Every year a Palio, a bare-back horse race, is held in Piazza Alfieri, the square named after the writer, on the third Sunday in September. The Basilica of Santa Croce in Florence, where Vittorio Alfieri is buried, is the largest Franciscan church in the world and the present building dates back to the 13th century. The Basilica has 16 chapels, many of them decorated with frescoes by Giotto and his pupils. It is the burial place for many important Italians, including Michelangelo, Galileo, Machiavelli and Rossini. 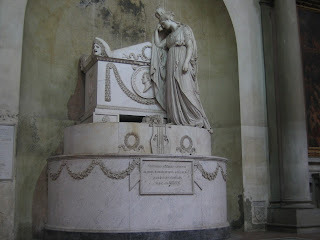 Alfieri's tomb was sculpted by Antonio Canova, who is considered one of Italy's greatest sculptors.